Not now, but billions of years ago, microbes might have thrived in water pools on the moon until its surface became dead and dry. The moon as seen by the Galileo spacecraft en route to Jupiter, on December 7, 1992. 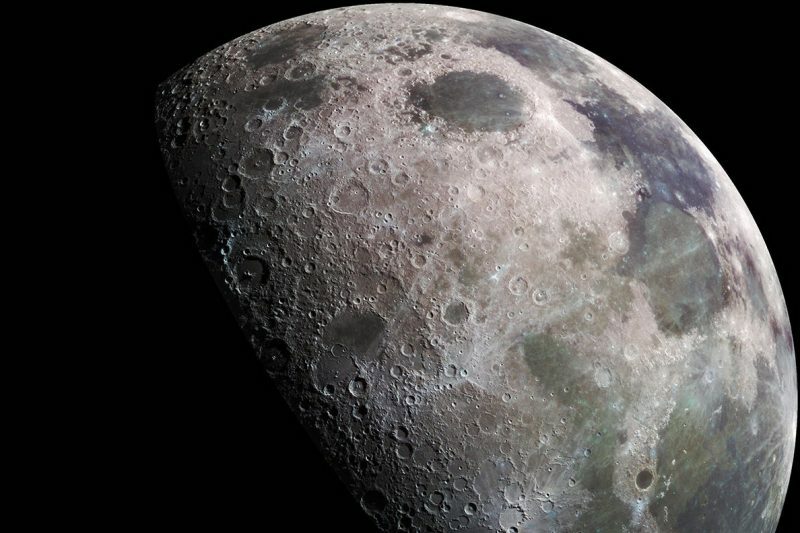 A new study suggests the moon might have been a more habitable place a few billion years ago. Image via NASA/JPL/USGS. Could there have been life on the moon in the distant past? Our airless, mostly dry moon certainly isn’t the first place that comes to mind when it comes to searching for life elsewhere. Today, its radiation-blasted surface is inhospitable to life as we know it. Plus the moon has no air or liquid water. But what about a few billion years ago? An article published by scientists in the journal Astrobiology – and announced by Washington State University on July 23, 2018 – brings together the various lines of evidence for a once-habitable moon and concludes that there might have been not one but two habitable periods early in the moon’s history. Our moon is uninhabitable and lifeless today. 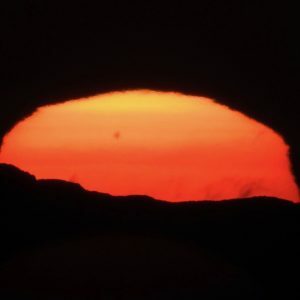 It has no significant atmosphere, no liquid water on its surface, no magnetosphere to protect its surface from solar wind and cosmic radiation, no polymeric chemistry, and it is subject to large diurnal temperature variations. Thus, associating our moon with habitability seems outrageous, and certainly it would have been just a decade ago. However, results from recent space missions, as well as sensitive analyses of lunar rock and soil samples, have indicated that the moon is not as dry as previously thought. In addition to the probable occurrence of water ice in permanently shadowed polar craters, spectroscopic studies also indicate the presence of hydrated surface materials at high, but not permanently shadowed, latitudes, with evidence for temporal variations over the course of a lunar day. In addition, recent studies of the products of lunar volcanism indicate that the lunar interior also contains more water than was once appreciated and that the lunar mantle may even be as comparably water-rich as Earth’s upper mantle. Illustration depicting the ancient moon with an atmosphere. The view overlooks the Imbrium Basin and shows volcanoes erupting and venting water vapor and other gases. Image via NASA MSFC/Lunar and Planetary Institute. 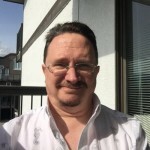 Dirk Schulze-Makuch, an astrobiologist at Washington State University, led the study, along with Ian Crawford, a professor of planetary science and astrobiology at the University of London. So just what does all this mean? Could there have once been some kind of simple life on the moon? This paper does not claim that, only that the moon may have once had habitable conditions. Schulze-Makuch and Crawford describe the two potentially habitable periods, early on in the moon’s history. Their article says that microscopic lifeforms could have been possible on the moon not long after the moon formed from a debris disk 4 billion years ago and then again during a period where lunar volcanic activity was at a peak, around 3.5 billion years ago. It was during those two periods that scientists think there used to be a lot more water vapor, and other volatiles, being released from the moon’s interior. There may even have been transient liquid water on the moon’s surface. 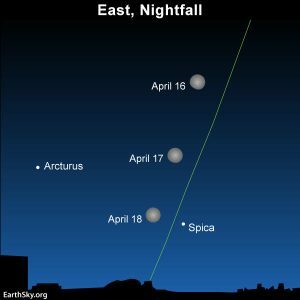 If liquid water and a significant atmosphere were present on the early moon for long periods of time, we think the lunar surface would have been at least transiently habitable. 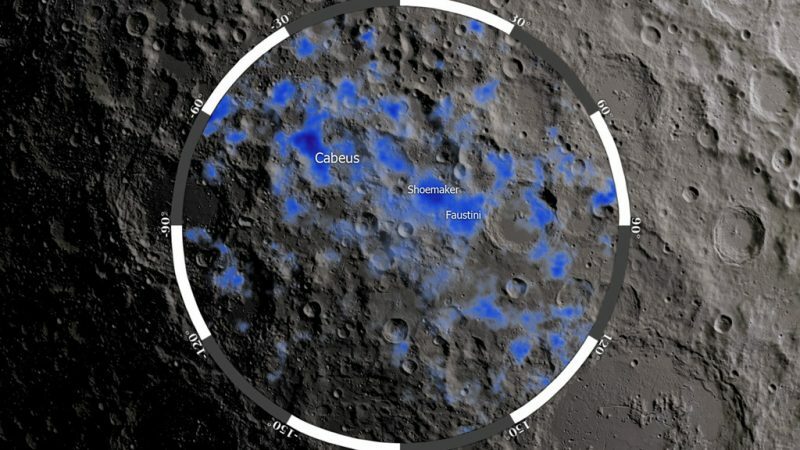 NASA’s Lunar Reconnaissance Orbiter found evidence for deposits of water ice near the moon’s south pole in 2015. Read more about this image and the LRO findings. It looks very much like the moon was habitable at this time. There could have actually been microbes thriving in water pools on the moon until the surface became dry and dead. If there ever was any life, did it evolve on the moon, or could it have come from Earth? At the time that the moon would have been habitable, Earth was teeming with microbes such as cyanobacteria, 3.5 to 3.8 billion years years ago. 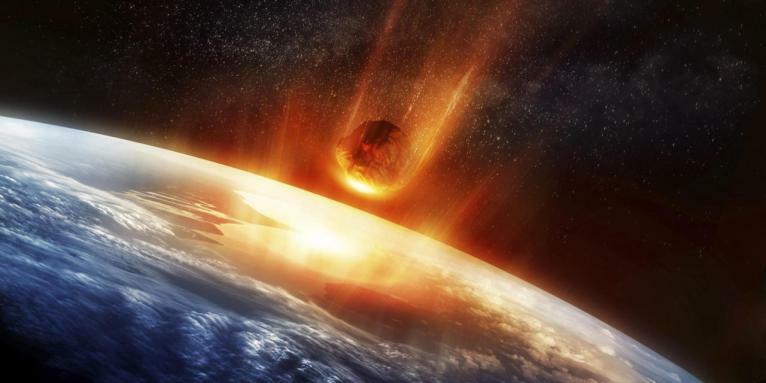 Meteorite impacts were more common then, so it is possible that some microbes could have been blasted into space and then fallen onto the moon. The possibility of some kind of simple life on the early moon is an exciting one, although no direct evidence of it has yet been found. Searching for such evidence, with modern technology, would require returning to the moon and obtaining samples in areas where it might most likely be found, such as the subsurface ice deposits. Early in the Earth’s history, when microbial life was just taking hold, impacts from meteorites could have ejected microbes into space, which then made their way to the moon. Image via BBC/Solarseven. Bottom line: The moon is airless and mostly dry now, but has water ice deposits in shadowed craters at its poles and below its surface. New research suggests more water on the moon billions of years ago and a possibly habitable moon, capable of supporting simple life forms, at that time. There’s no evidence yet that any such life existed, but the possibility that it could have is intriguing. 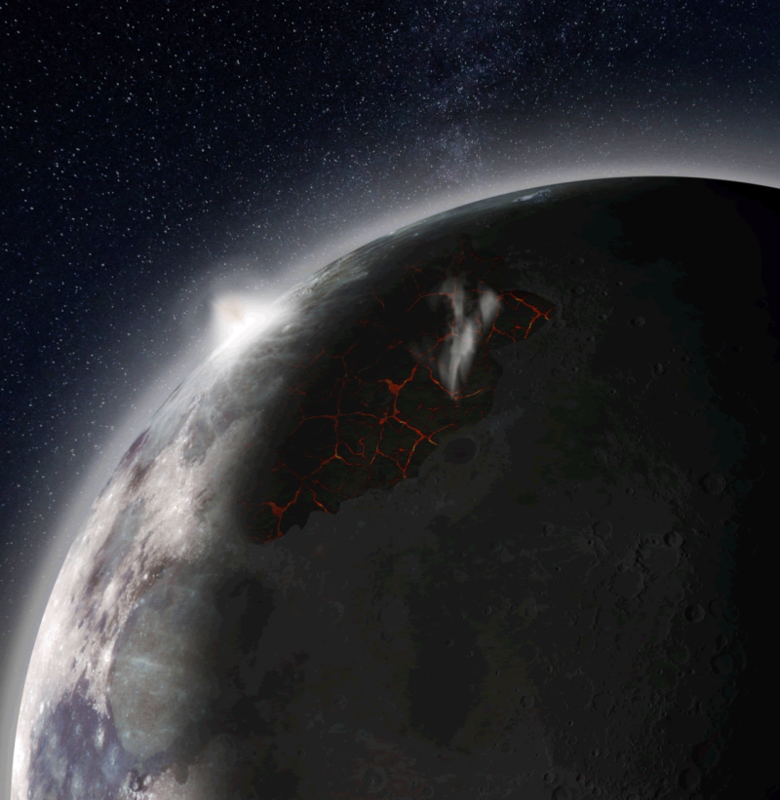 Read the Astrobiology article: Was There an Early Habitability Window for Earth’s Moon?